The State Forest Department has been directed to take all necessary precautions to prevent forest fires while also banning trekking in the forests. THIRUVANANTHAPURAM: The Kerala government today temporarily banned trekking in state forest areas in the backdrop of the fire at Kurangani hills in neighbouring Tamil Nadu, in which nine people were killed. A decision to this effect was taken by the Kerala State Disaster Management Authority, a statement issued by the chief minister's office said. As many as nine people, who were part of a trekking expedition were killed in the forest fire at Kurngani hills near Theni district, about 500 km from Chennai, yesterday. 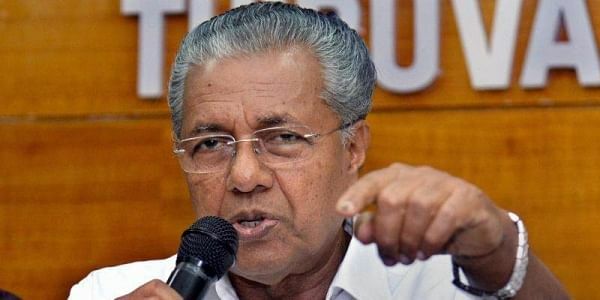 The State Forest Department has been directed to take all necessary precautions to prevent forest fires, the statement quoted Chief Minister Pinarayi Vijayan as saying. He added that the Authority was closely monitoring the situation. The Idukki district collector and police superintendent were given instructions to assist the rescue operations undertaken by Tamil Nadu officials immediately when it was known that the fire had broken out in Theni district on the Kerala-Tamil Nadu border, Vijayan said. Personnel of Kerala Fire Force, state police and the forest department took part in the rescue and relief operations, he added. A 36-member team -- 24 people from Chennai and 12 from Tirupur and Erode districts -- on a trekking expedition had reached Kurangani hills on March 10. Nine died in the forest fire that raged on the hills while 17 were hospitalised with injuries and 10 did not require hospitalisation. Vijayan expressed grief over the tragedy.